Did you know that the Soldiers & Sailors Monument located on Monument Circle is just 15 feet shorter than the Statue of Liberty? 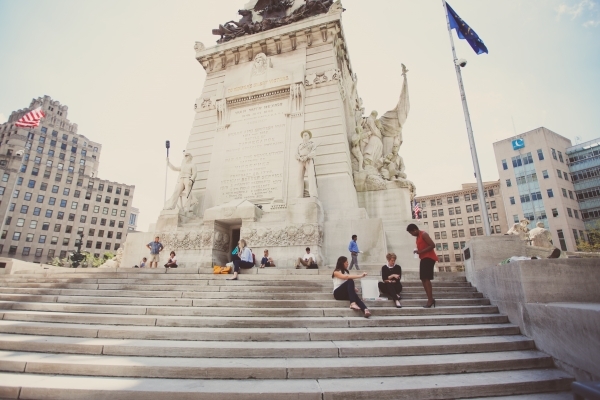 Visit the top of the Soldiers & Sailors Monument and get a top-notch, Instagram-worthy view of the city. There is a $2 fee to use the elevator or walk the stairs for FREE. Call (317) 232-7615 for more details. If you enjoy outdoor public art, take a stroll along Mass Avenue and admire talent of many different artists. 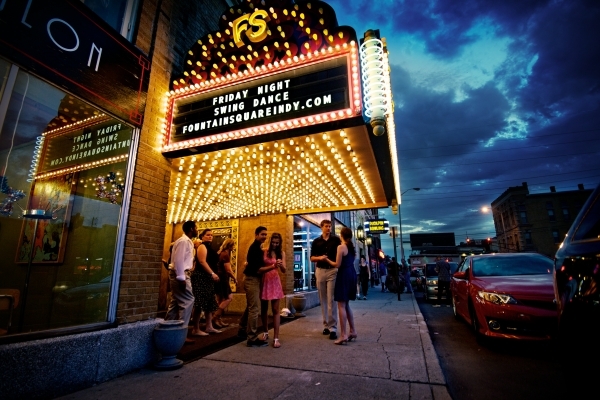 The Mass Ave Arts & Theater Cultural District boasts unique, one-of-a-kind art in various locations that can't be found anywhere else in Indianapolis. 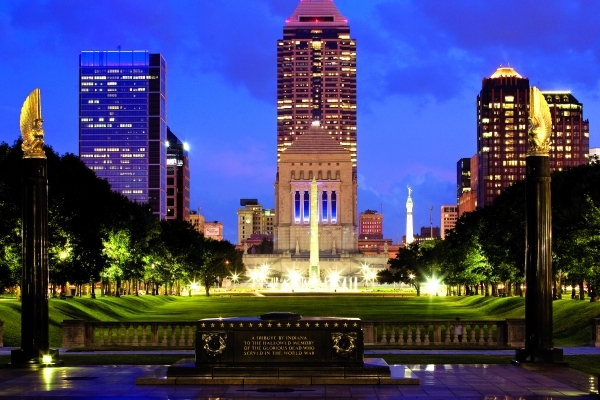 Downtown Indianapolis displays the second largest number of war memorials in the U.S. next to Washington, D.C. Take your own walking tour and explore them all while learning about Indiana history. 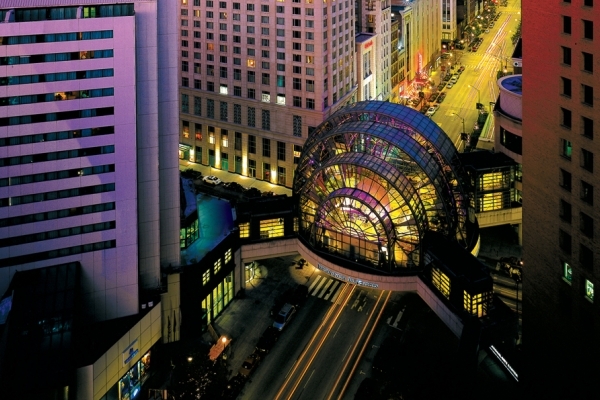 Located above the busy intersection of Washington and Illinois streets is the Indianapolis Artsgarden, a unique glass-domed structure suspended 17 feet over street level and rising to 95 feet above the ground. Owned and operated by the Arts Council of Indianapolis, the Artsgarden provides more than 300 free arts performances and exhibits each year. Call (317) 631-3301 for more information. 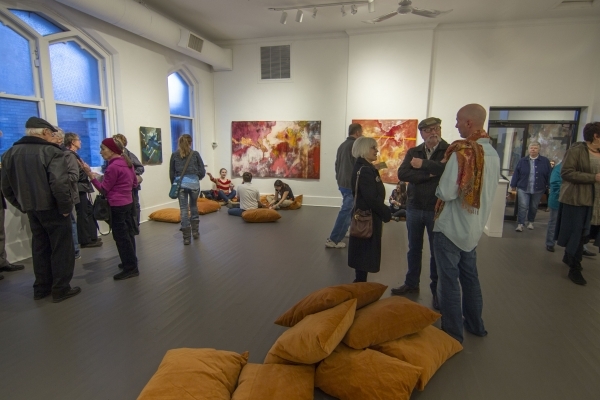 Make your way to the Harrison Center for First Fridays every month to experience new artists. Enjoy an artist reception from 6 – 9 p.m. If Friday doesn’t work, come back throughout the month to view the art. Take a walk or bike ridealong the Indianapolis Cultural Trail. The world-class trail links all six Indianapolis Cultural Districts. Discover art and natural beauty any hour of the day on this fully lit, safe path through Downtown. Stop for a bite anywhere along the way at one of Downtown's 200+ restaurants. Don't let colder months stop you: Indianapolis Cultural Trail, Inc.’s keeps the Trail clear of snow and ice throughout winter. 2019 NOTE: CURRENTLY BEING RENOVATED. The Colonel Eli Lilly Civil War Museum, located in the Indiana Soldiers & Sailors Monument, tells the story of the Civil War through the experiences of Hoosiers who lived during that time. The exhibits look at both the soldier's experiences while away at war and the home front activities that supported the war effort. Ooh and aah your way through the Alexander Hotel, Indy’s hip art hotel curated from local and international artists. Browse works of art that reference or are inspired by Hoosier state culture and history. 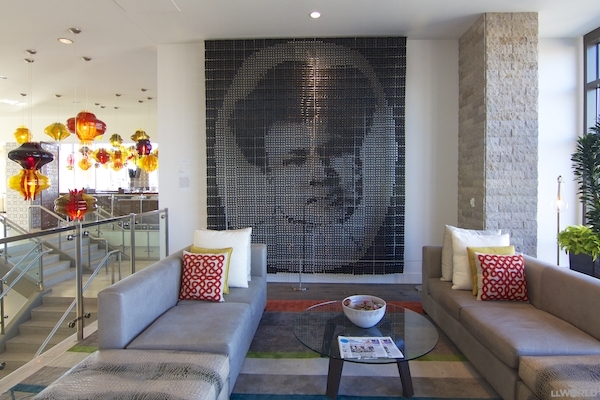 See a portrait of the Indianapolis hair-care tycoon Madam C. J. Walker made from 3,840 combs, a wall-mounted installation made from vinyl records, stream-of-consciousness text cut from reflective stainless steel and much more. On your way out, pop into Plat 99 and sip on a cocktail under the light of 99 vibrant hand-molded acrylic lamps. In an Old World atmosphere, the Indianapolis City Market boasts shops and restaurants offering fresh produce, meats, baked goods, flowers and imported foods and coffees. A variety of food stands offer traditional, ethnic and specialty cuisines. 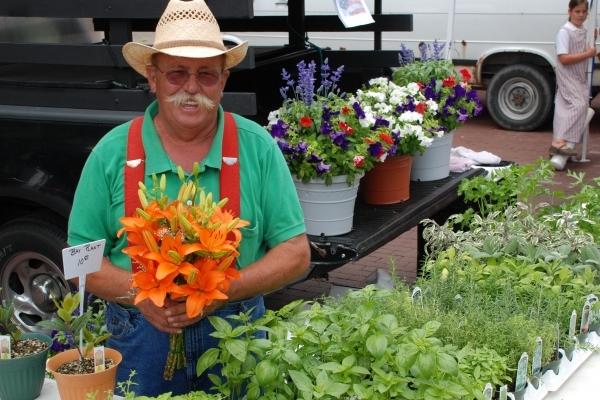 From May through October, visitors will find the Original Farmers' Market on Wednesdays. Call (317) 634-9266 for info. 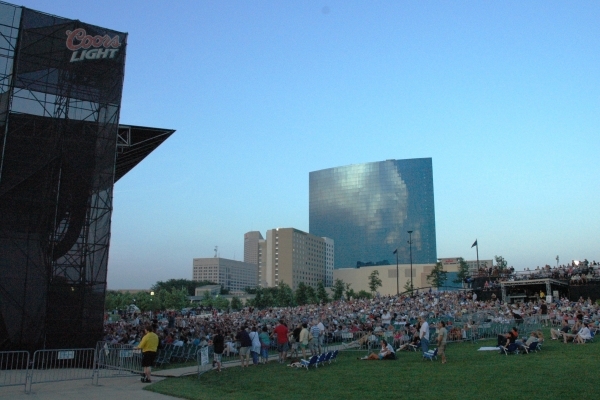 This June and July, head to the Canal for numerous outdoor concerts. 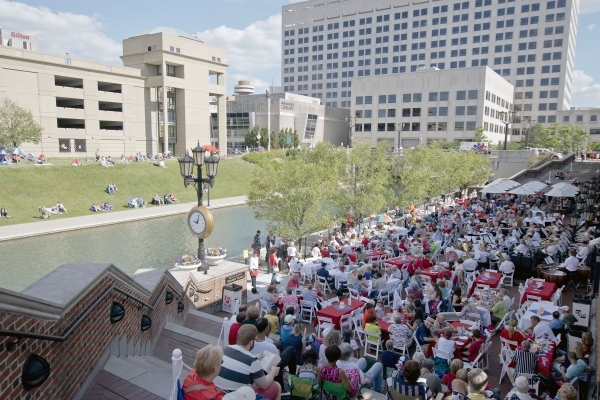 Spend Thursday evenings at the Indiana Historical Society's Concerts on the Canal. Enjoy FREE musical performances plus beautiful views of the Canal. Bring your own chairs and blankets or reserve a table. Call (317) 232-1882 for more information. Located in the heart of Downtown, White River State Park is Indiana's only urban state park. 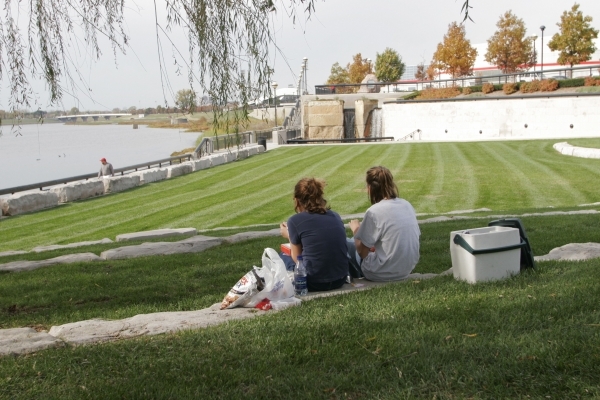 Take advantage of the 250 acres of green space and enjoy a picnic in the area when no concerts are taking place. While you’re there, check out the many sculptures that adorn the area. Call (317) 233-2434 for more information. 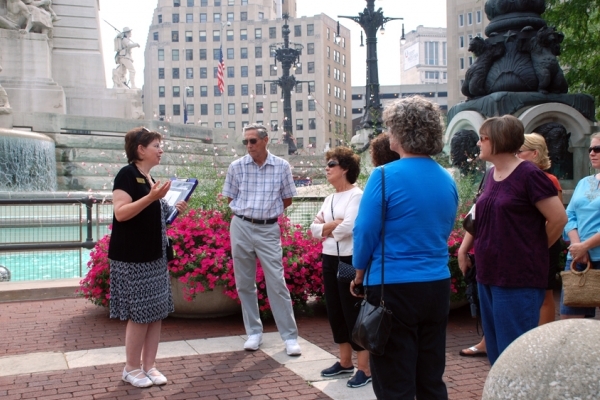 Every Friday and Saturday from May - October beginning at 10 a.m., Indiana Landmarks hosts an hour long Monument Circle tour, perfect for history buffs itching to learn about several monuments that decorate Downtown Indy. Tours are FREE and reservations are not required. Impress your date with a FREE workout. 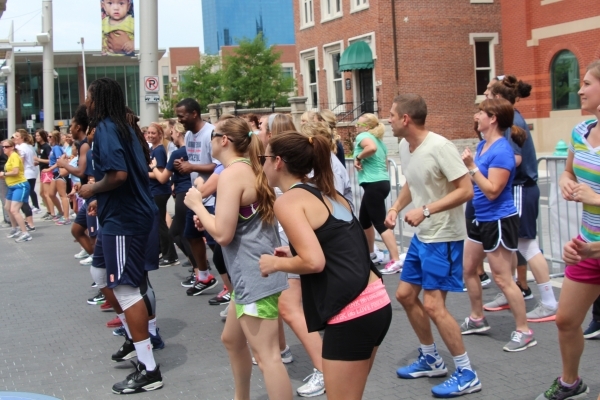 From May - September, enjoy Workout Wednesdays presented by Anthem Blue Cross & Blue Shield. The YMCA leads the group in an all-level cardio workout on Georgia Street Wednesdays from noon – 12:45 p.m. May – September. Additionally, grab your yoga mats and stretch out for Sunrise Yoga on the Canal from 6 - 7 a.m. June – August. Don't have "Moves like Jagger"? Not to worry. These classes are all-levels. Find a swarm of mobile vendors every week during Food Truck Fridays on Georgia Street. 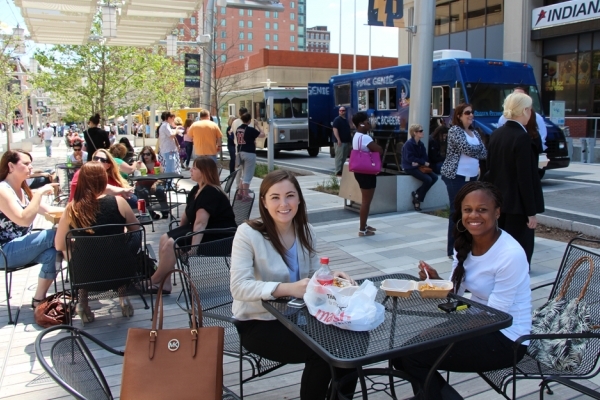 Running May through August, indulge in the savory selections of Indy’s best food trucks from 11 a.m. - 1:30 p.m. Admission is FREE. 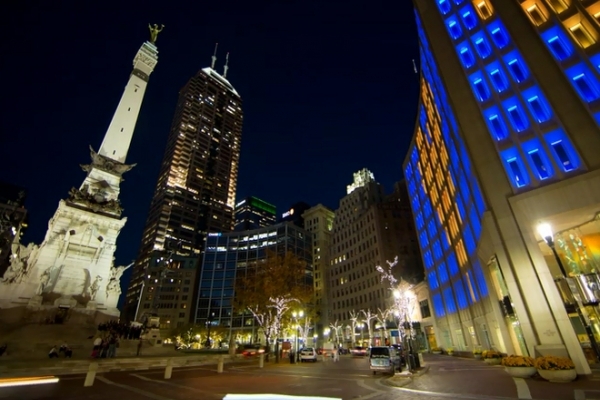 The Downtown Indy, Inc. Circle of Lights® presented by IBEW 481 is illuminated the day after Thanksgiving through the beginning of the new year as the Soldiers and Sailors Monument shines with 4,784 multi-colored LED lights on 52 garland strands. 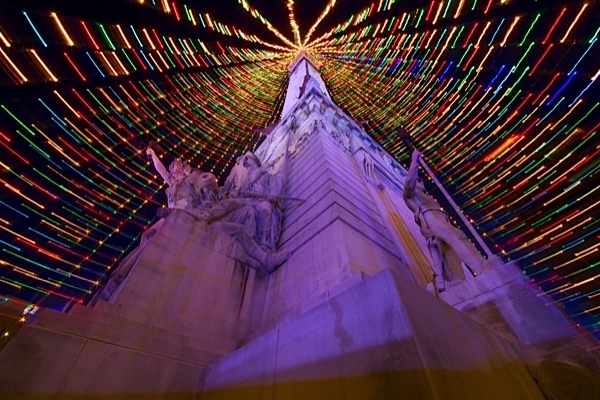 Stand in front of the lit-up Monument for that perfect holiday selfie. 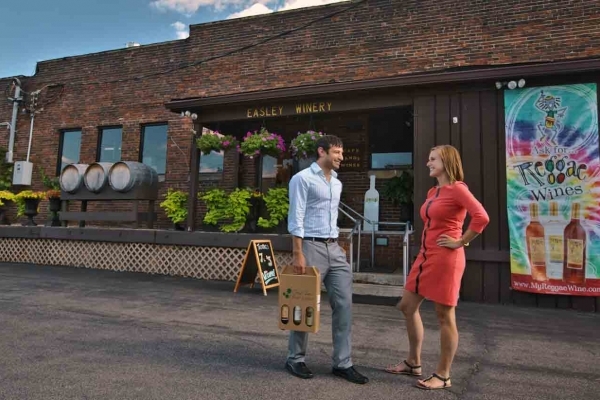 Visit Easley Winery for $5 daily wine tastings. FREE guided winery tours are also available on Saturdays and Sundays beginning at noon and 1 p.m. More than 2,000 wine and grape-related gadgets, home accessories, glasses, wine racks and more are available. You can also enjoy a glass of wine and live jazz at Groovin' in the Garden, a FREE seasonal concert series on Saturdays May-September. Local acts perform and carryout is available from a variety of Downtown restaurants. Call (317) 636-4516 for more information. Take your significant other to an Indianapolis Indians game. 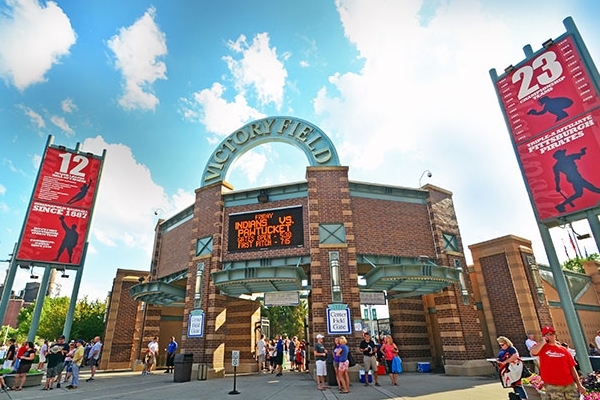 Victory Field was voted "Best Minor League Ballpark in America" by Sports Illustrated. Enjoy fun promotions like Kids Eat Free Sundays, Friday Night Fireworks, Thursday Craft Beer Nights, Monday Dollar menu and FREE giveaways. Tickets start at $11. Call (317) 269-3542 for more details. The Indiana State Museum in Downtown’s White River State Park is the crossroads of everything interesting, educational and unique about the state. 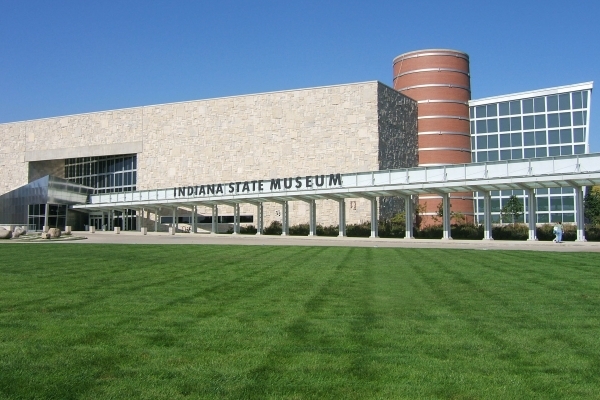 The Indiana State Museum features original works of art, hands-on exhibits, science and history and an atmosphere that invites discovery and exploration. Call (317) 232-1637 for more information. Tickets are $16 for adults. 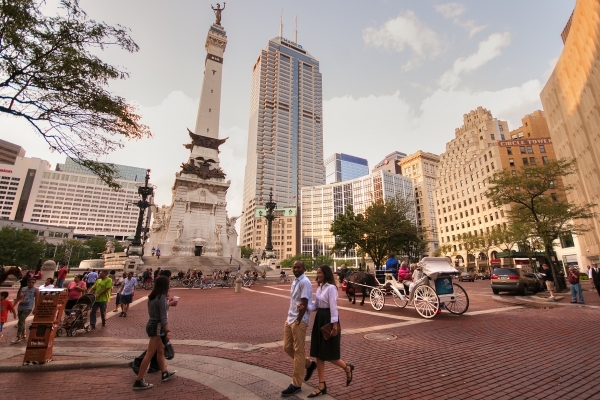 Indianapolis was recognized by Away.com as one of the Best Cities to See from a Bicycle Seat in the world. 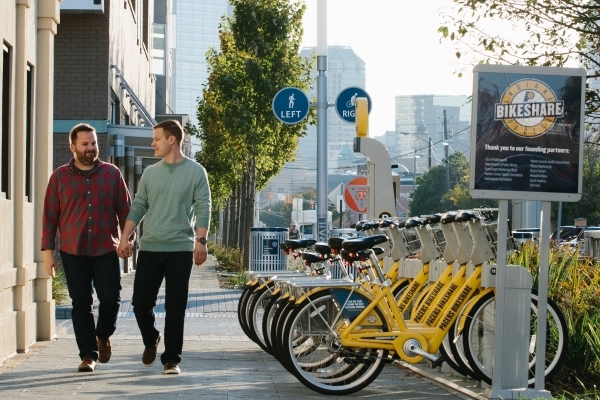 Rent a Pacers Bikeshare and enjoy a romantic bike ride around Downtown Indy. A 24-hour pass is $8 plus $2 for an hour ride. Make sure to dock your bike at a new station every 30 minutes so you don’t incur any additional costs. Spend the day exploring Downtown in a new way with someone special. The Eiteljorg Museum of American Indians and Western Art is one of two museums east of the Mississippi that showcases Native-American and Western art. 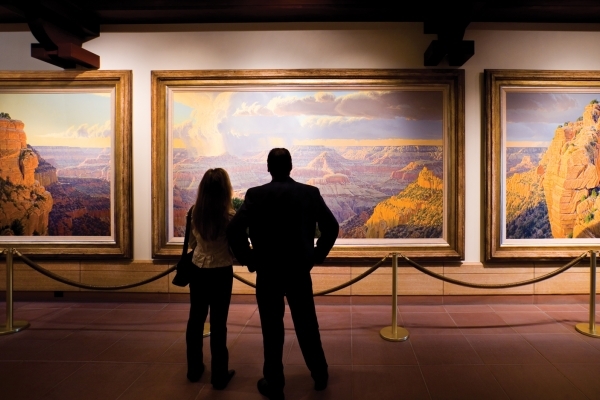 The museum has one of the best Native American and Western art collections in the world, including traditional and contemporary work. IUPUI students and faculty receive FREE admission. Call (317) 636-9378 for more information. Adult tickets are $15 online or $17 at the door. Call (317) 636-9378 for more information. Start your engines at the Indianapolis Motor Speedway Museum. For $10, see 75 historic race cars on display, including the Marmon "Wasp," which won the inaugural Indianapolis 500 in 1911. For a more visual experience, visit the Tony Hulman Theatre to catch rare Indy 500 footage. The museum and grounds are on the National Historic Landmark registry and are open 363 days a year. 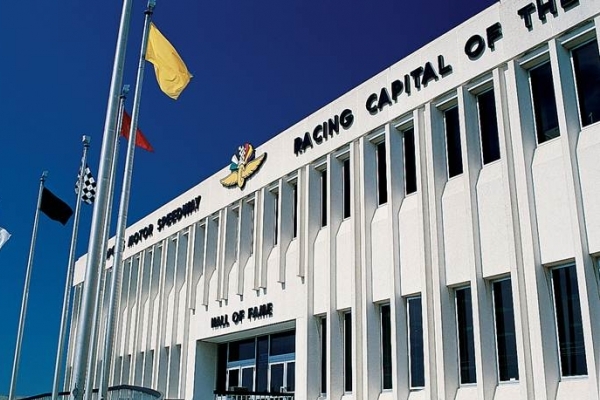 Two gift shops and a snack shop make this the perfect stop for any racing fan. Call (317) 492-6784 for more information. 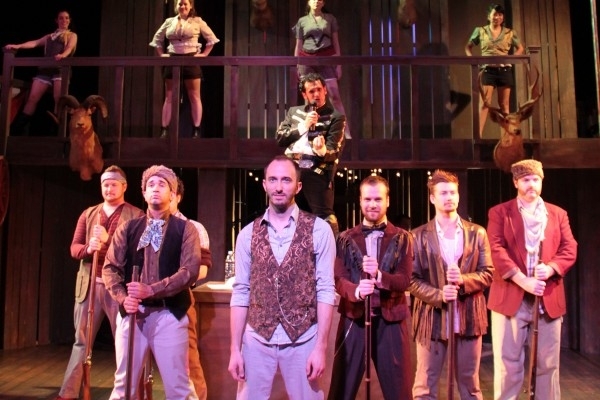 Located in the heart of Mass Ave Arts and Theater District, ComedySportz showcases competitive improv comedy where groups of performers make up scenes, create songs or play games based on audience suggestions. Everything is unscripted, and no two matches are the same. Attend Thursday Cheap Seats Night for $13 or Friday/Saturday performances for $16. Call (317) 951-8499 for more information. Visit the Biergarten at the Rathskeller and enjoy a full service walk-up bar, pub style food, German brew and live music. 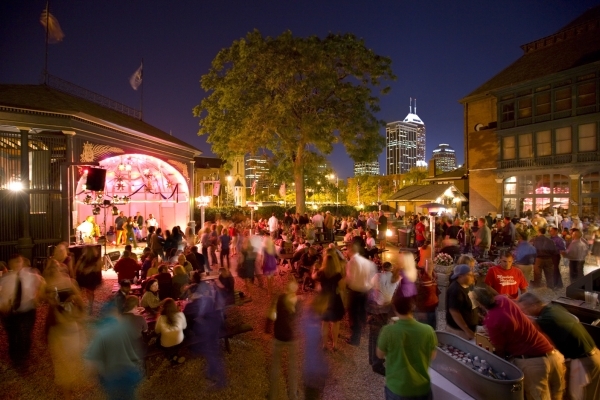 This seasonal outdoor venue is one of the hottest spots in Indianapolis during the summer. Beer lovers will find much to love on the drink menu, as the restaurant's biergarten and Kellerbar offer brews and microbrews from Germany, Europe, the U.K. and North America. Call (317) 636-0396 for more information. Did you know that St. Elmo Steak House goes through more than 760,000 shrimp and 65 tons of beef each year to please guests looking to savor these world-famous culinary delights? 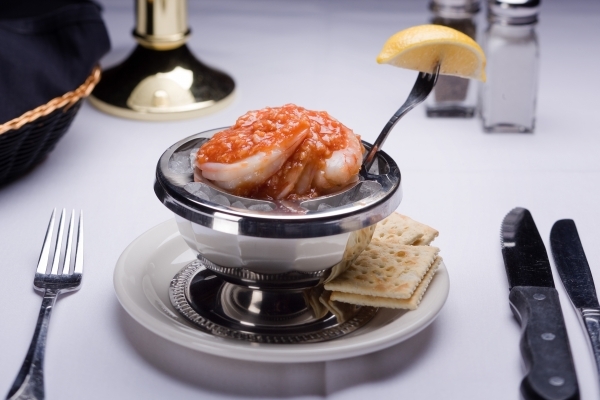 Lovebirds on a budget can stop in for an appetizer and try St. Elmo’s renowned shrimp cocktail with its famous fiery sauce for $15.95. Head upstairs to check out the prohibition-era bar, 1933 Lounge and order the signature “Elmo Cola.” (You can also get the shrimp cocktail at Harry & Izzy’s). 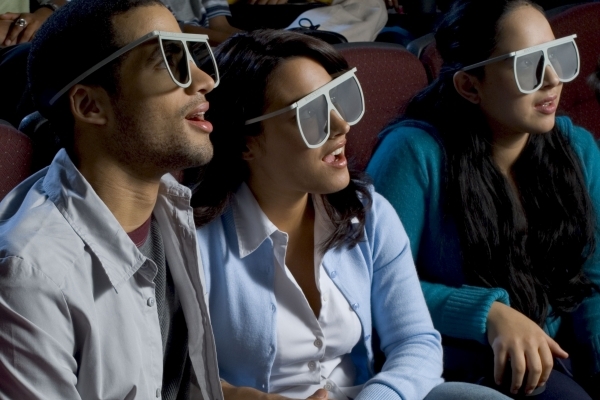 The IMAX Theater at the Indiana State Museum specializes in 3D and 2D films projected onto a giant six-story-tall screen. Featuring cutting-edge technology, films in the theatre are a one of a kind experience for any visitor. The Academy Award–winning IMAX technology brings images to life like no other. Treat your senses to the most powerful and involving movie experience yet created. Tickets typically start around $15. Call (317) 233-IMAX for more information. 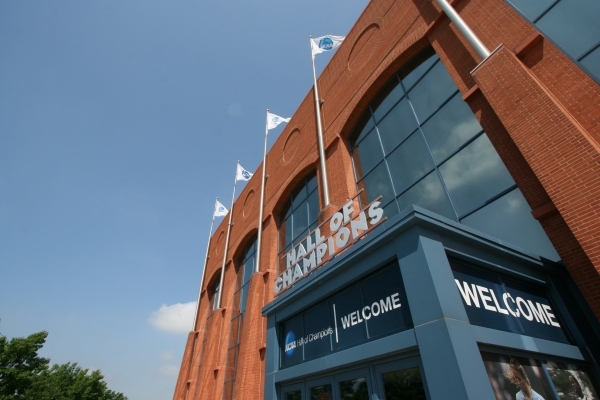 Start your date at the NCAA Hall of Champions, complete with two levels of interactive exhibits. All 23 NCAA sports are represented and include trivia, video highlights and college artifacts. Play basketball in a 1930s retro gymnasium or watch current games on seven TVs. Be sure to check out special, rotating exhibits. Admission is $5. Call (317) 917-6084 for more information. 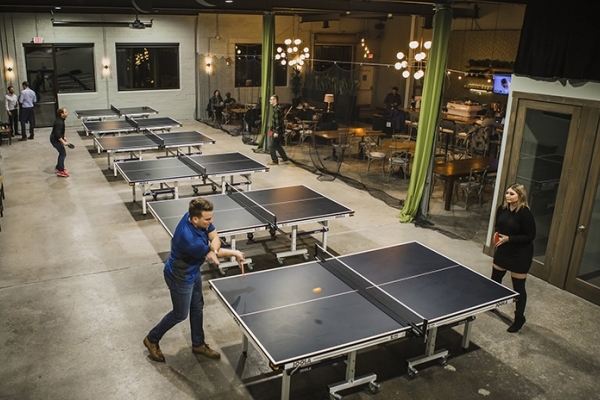 Enjoy a game of ping pong and cup of coffee at Smash Social. For $10/person, get unlimited daily play (first come, first serve) which includes ball and paddle rental. Several tournaments are also offered throughout the year, including the last Tuesday of every month at 7 p.m., to impress your date. Call (317) 506-6059 for more info. 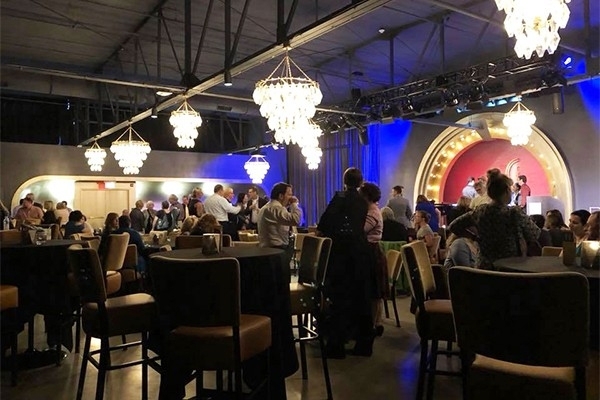 Show off your moves at the Fountain Square Theatre’s Friday Night Swing Dance. Take a dance lesson at 7:30 p.m. then stay for live entertainment from 8:30 – 11:30 p.m. with some of the hottest swing bands around. The dance lesson is $14 including the dance or dancing only is $12. Call (317) 686-6010 for more information. Table for two! 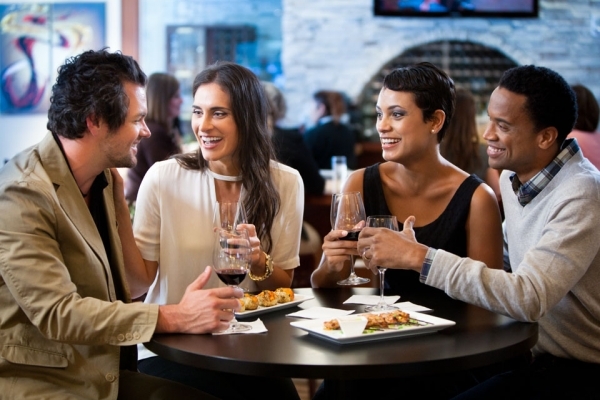 Bring out your inner wine connoisseur at Tastings, A Wine Experience. Voted Best Wine Bar since opening its doors in 2009, Tastings offers half off bottles of wine on Sundays. With two outdoor patios, Tastings is a great place to see and be seen. For more information call (317) 423-2400. Looking for a relaxing date with your partner? 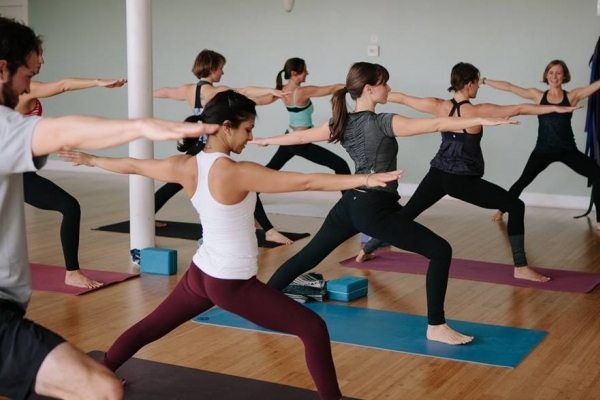 Calm your minds and stretch out during an Invoke Studio Community Yoga or Pilates classes. Classes are suitable for all levels, including beginners. Invoke classes are $10 and offered on Fridays at 9 a.m. and Sundays at 4:30, 5, 6 & 7:15 p.m. For more information call (317) 631-9642. Ready to turn up the heat? Get steamy at The Hot Room. The Original Hot Yoga and Hot Pilates classes are designed for beginners as well as more advanced levels. Single classes are $20 and offered seven days a week at various times. For more information call (317)-650-7736. The Phoenix Theatre's new digs are pretty awesome. 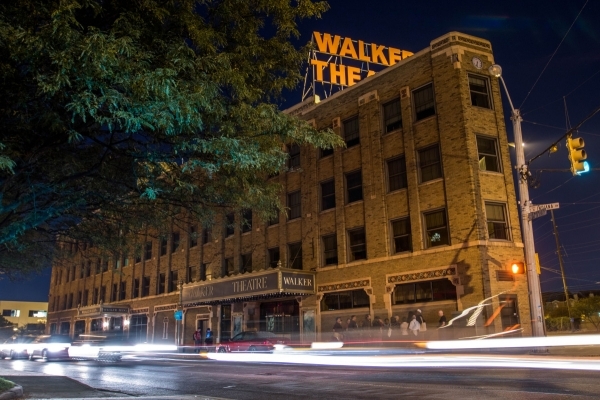 The not-for-profit company focuses on new, contemporary theatre. The Phoenix doesn’t produce shows that have already been done in Indy, so shows are always different and unique. Shows run year-round, so there’s always something great on stage. Tickets start at $24. Call (317) 635-7529 for more information. Enjoy a magnificent view of Downtown on the Canal located in a romantic urban park in the heart of Downtown Indianapolis. Imagine floating down the waterway in a pedal boat and viewing waterfalls, a 40-foot geyser and sprinklers. Explore the Canal on a two or four-person pedal boat or kayak. Rentals range from $21 - $38/hour. Call 363-9353. Additionally, scoot around White River State Park on a surrey or various bikes. Rentals range from $11 - $38. Call (317) 730-2290. Wheel Fun Rental Company is open mid-March through October and all holidays. 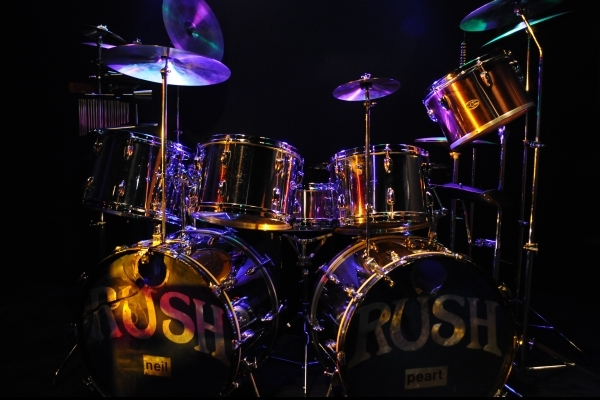 An extension of the Percussive Arts Society, the educational and interactive Rhythm! Discovery Center offers rare and unique instruments to keep visitors entertained. Make music with kitchen appliances, learn the history of electronic percussion and get groovy in the groove space. Admission is $12 for adults, $8 for seniors and $9 for students. Action Duckpin Bowl, in the Fountain Square Theatre Building, is the only authentic Duckpin Bowling in the Midwest. In addition to the eight lanes of bowling, Action Bowl has a café area with a vintage pool table. Windows surround the cafe for a magnificent view of Downtown Indianapolis. 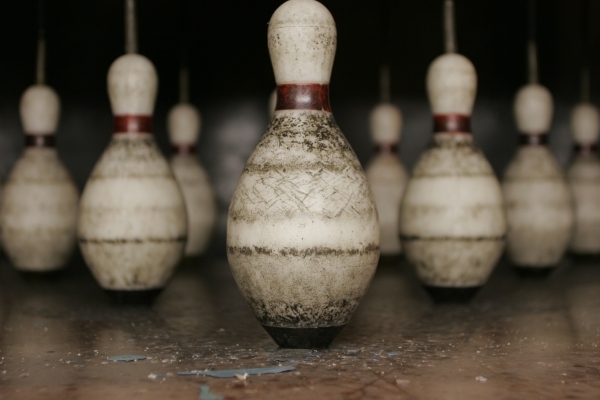 Open bowling costs $40 per hour and reservations are recommended. For more information call (317) 686-6006. 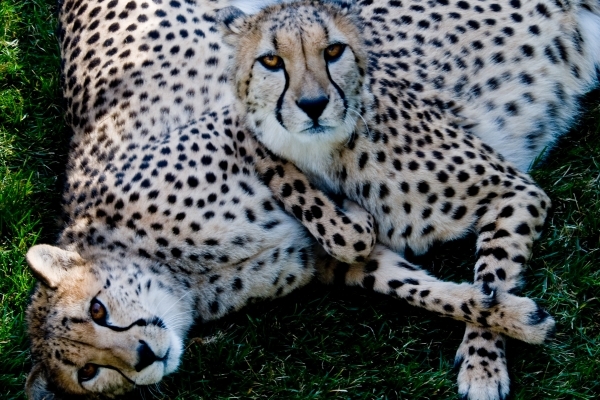 The Indianapolis Zoo was the first in the nation to be accredited as a combined zoo, aquarium and botanical garden. Visit the amazing International Orangutan Center, Dolphin Pavilion, shark touch tank, Flights of Fancy, White River Gardens and much more. Prices and hours vary seasonally. Call (317) 630-2001 for more information. Check out exhibitions highlighting art from around the world or meander through the beautiful outdoor gardens of Newfields situated on 152 acres of land. 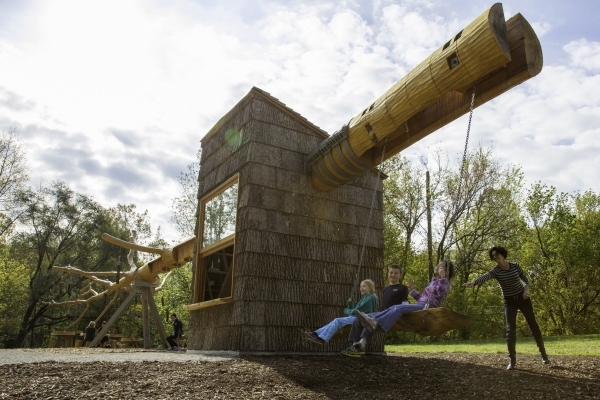 Visit 100 Acres: The Virginia B. Fairbanks Art & Nature Park Acres. Adjacent to the Museum and located on 100 acres that includes woodlands, wetlands, meadows and a 35-acre lake, 100 Acres is one of the largest museum art parks in the country, and the only one to feature the ongoing commission of site-specific artworks. Admission to the 100 Acres is free; admission to Newfields is $18 for adults. For more information call (317) 923-1331. 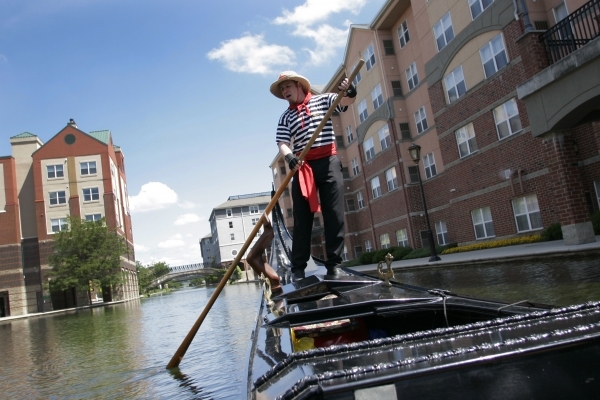 Take a gondola ride on the Canal May – September and enjoy a magnificent view of Downtown Indianapolis. Imagine floating down the waterway while a singing gondolier from Old World Gondoliers serenades you. Public rides are $25/person + 20 percent gratuity for 30 minutes. For more information call (317) 340-2489. 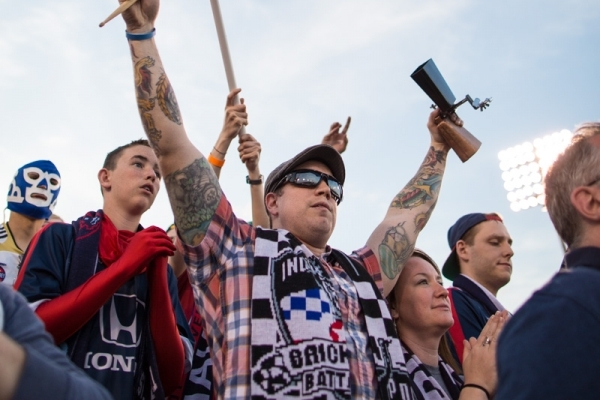 Cheer on the boys in blue and catch an Indy Eleven soccer match with your sweetie. See the team play at Lucas Oil Stadium again March - October. Tickets start at $15. Call (317) 685-1100 for more info. From concerts to comedians to musicals, Old National Centre is host to some of the best entertainment in the city. 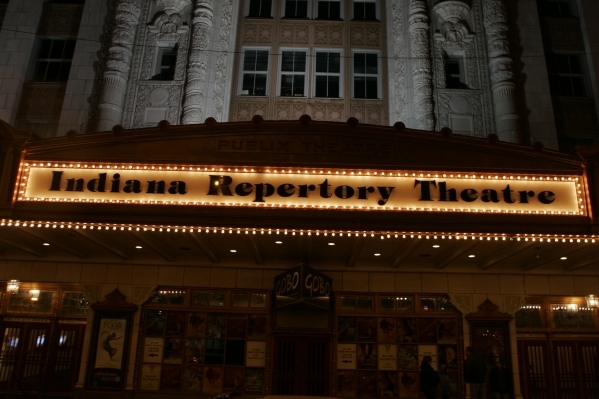 Impress your date with a live show, then stroll around Mass Ave.
Get your performing art fix at the Indiana Repertory Theatre, Indiana’s only fully professional live theatre venue, where patrons can experience provocative new work and world classics. Snag $25 tickets to any performance. A limited number of value seats are available at each performance. Get them while supplies last. Call for more info (317) 635-5252. 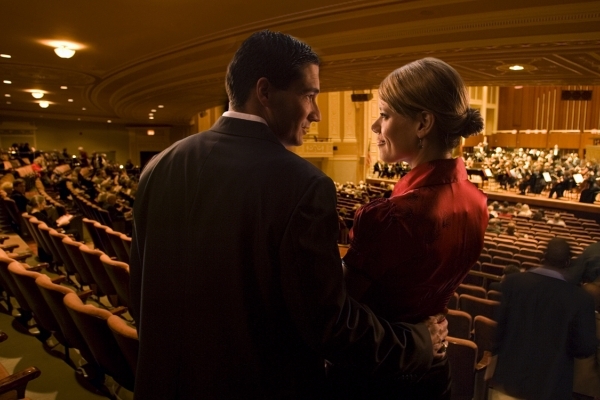 The Indianapolis Symphony Orchestra performs 200 concerts each year to an audience of more than 500,000 people. Since 1994 the group has been heard in more than 250 radio markets in 41 states and has performed in three European musical capitals. Some tickets start at just $15. Mark your calendar for Stella Artois Happy Hour at the Symphony to enjoy complimentary food and drink samples from local vendors before the show begins. Call (317) 639-4300 for more information. 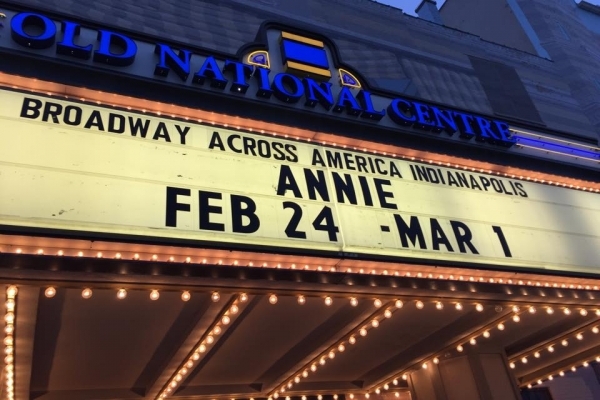 Catch the excitement of Broadway, right here in Indianapolis! 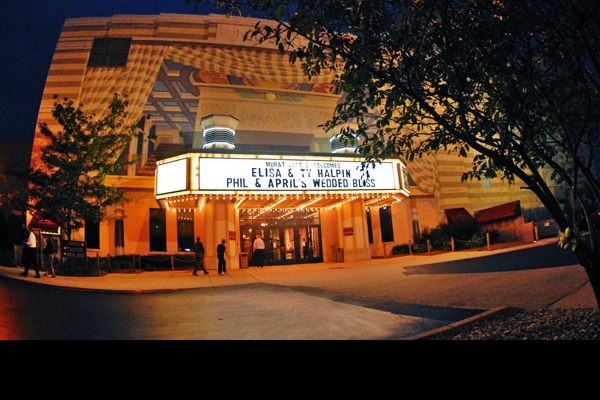 Experience Broadway in Indianapolis at Old National Centre and Clowes Memorial Hall. Get the best prices by purchasing a season subscription. Call (800) 793-7469 for more details. Take in a concert at the Farm Bureau Insurance Lawn at White River State Park, named one of the top 100 outdoor venues in the world (Pollstar). A variety of artists perform May–October. And you can’t beat the twilight setting and incredible views. For more information call (317) 776-8181. Treat your significant other to the greatest beer tasting experience in Indy. 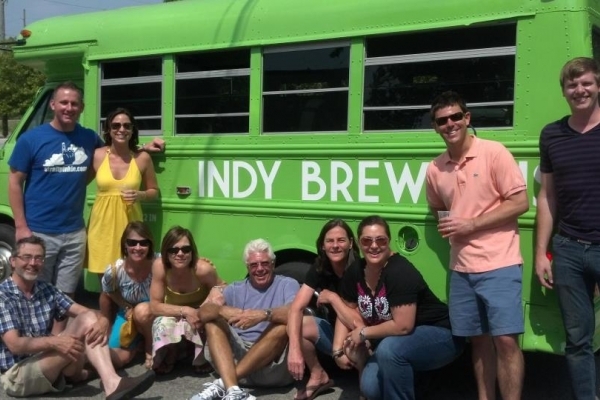 Indy Brew Bus is a fun way to visit multiple craft breweries Downtown. Each tour visits four breweries and participants receive a Personal Sampling Scorecard to keep track of favorites. Tickets start at $30 per person. For more information, email info@indybrewbus.com. 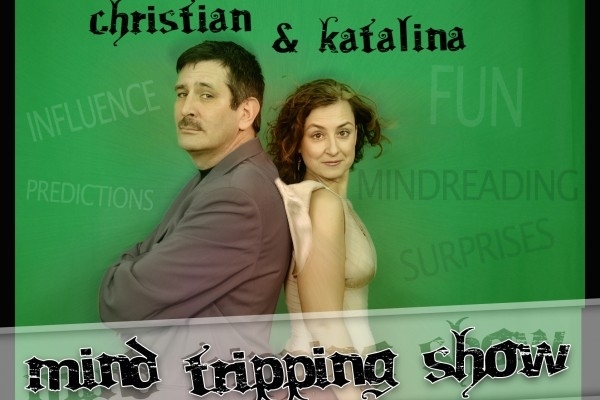 This isn't your ordinary comedy show, the Mind Tripping Show is comedy with a psychological twist. Bring a date to the intimate carabet-style show playing at the Hilton Indianapolis Hotel & Suites that's sophisticated, clever and fun! Tickets start at $30. Call (317) 691-6399. The Cabaret features a dynamic range of captivating artists in a uniquely intimate and sophisticated setting. Performers shatter the fourth wall, divulging anecdotes and stories as they take you on a musical journey. Bring your date for a cocktail, lite bite and a world-class nightlife experience. Students with IDs get in for $25. Otherwise splurge, as tickets typically start at $55/person. Call (317) 275-1169 for tickets. 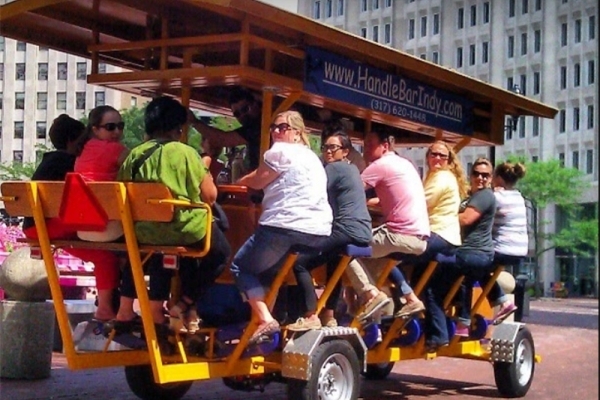 Indy’s first pedal pub holds up to 16 people each. The HandleBar is a great date idea for a large group or just two people. Bring beer, wine and snacks and get ready for a great tour of Downtown. (Don’t worry – the bikes are equipped with electric assist to help whenever you need it.) Singular seats start at $30. Call (317) 620-1448 for more info. 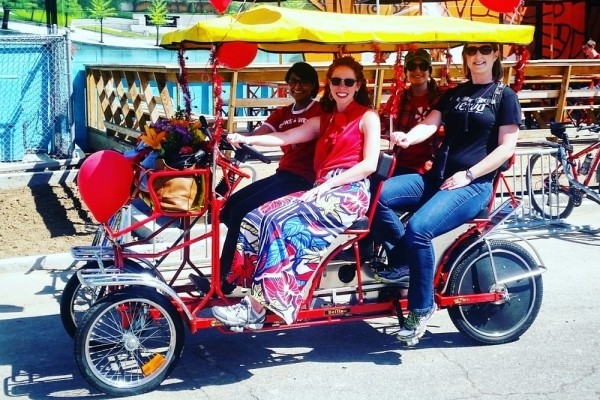 The Picked Pedaler 14 passenger party bike is built for FUN. With LED party lights, premium sound system and state of the art electric pedal assist (no need to exhaust yourself), this experience is for everyone. Be sure to BYOB. Monday – Wednesday grab a seat on a public tour for $30. Otherwise grab your friends for a private tour for 14 and split the cost. Call (317) 877-0624 for more info. 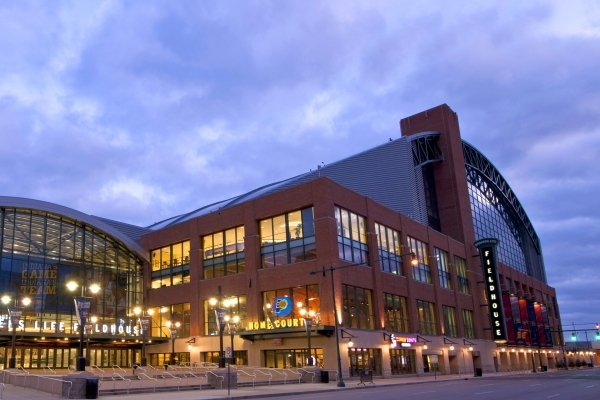 Find a great game, concert or performance at Bankers Life Fieldhouse. From fast-paced Pacers and Fever games to spectacular concerts including Justin Timberlake, Pink and Backstreet Boys, date night is sure to be a success with an exciting event here. Call (317) 917-2727. 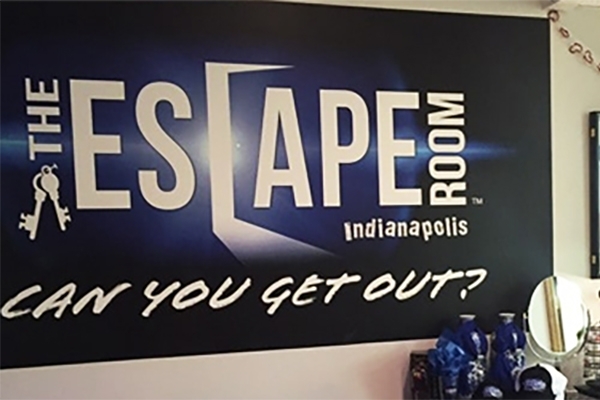 The Escape Room Indianapolis offers an interactive adventure game designed for everyone. Your team is locked in a themed room where you have 60 minutes to find clues, solve puzzles and discover keys to escape the room. Located above the Old Spaghetti Factory on the corner of Meridian & Georgia streets, the Escape Room offers a fun challenge for friends... and a great way to get to know your date. Tickets are $29. Call (317) 986-6542 for info. Need more help planning the perfect date? Use our Restaurant Finder or Attractions Finder to see maps and more information on local dining and attractions.